At long last, we are pleased to announce that the Heart of the Woods demo is now live on Steam and itch.io! 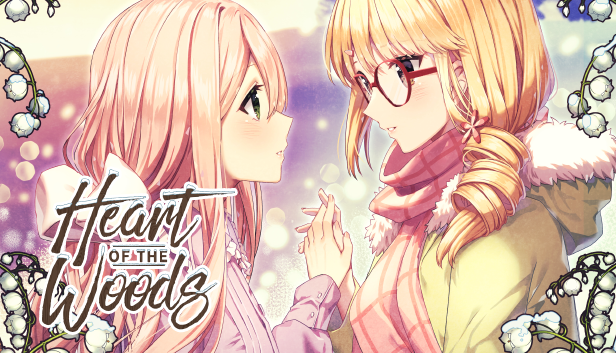 Heart of the Woods is a fantasy yuri visual novel about uncovering ancient secrets, encountering incredible supernatural entities, and falling deeply in love with a lesbian ghost. When Maddie Raines begrudgingly agrees to one last supernatural expedition for her best friend Tara’s paranormal vlog channel before she quits for good, she doesn’t expect that the two of them will end up with a lot more than they bargained for. With the help of Morgan, the local eccentric (and a huge fan of Tara’s show), the three of them uncover secrets in the village of Eysenfeld that will change their lives forever. 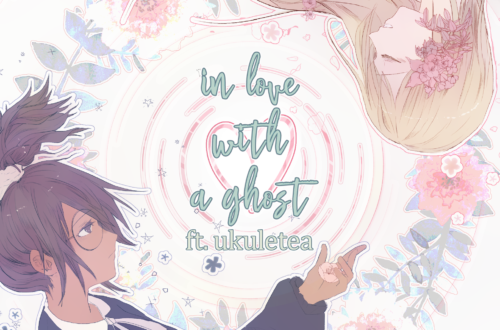 And when Maddie discovers Abigail, a centuries-old ghost girl that lives in the woods surrounding the village, her life will change in an entirely different way. The demo is completely free, and a great chance to check out a story full of intrigue, magic, and a cast of really cool lesbians. It also contains an optional 18+ patch with an explicit bonus scene. We hope you enjoy it, and we’d love to hear any feedback you have regarding it! And if the Adult Patch is your cup of tea, you can find it here! Halloween Approaches… TARANORMAL is Revealed! 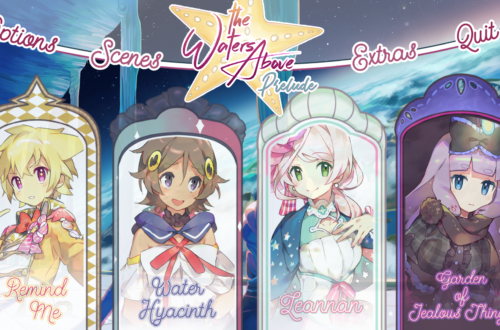 The Waters Above: Prelude has Launched! 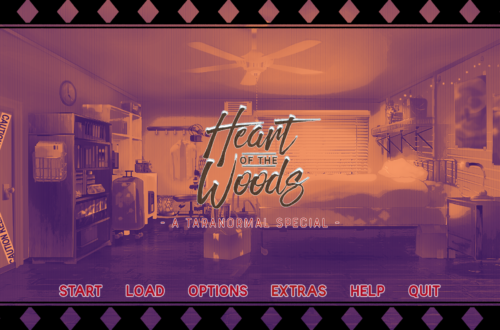 Hi, first I really appreciate the demo of “Heart of The Woods” and I have questions about this visual novel. 1 – The chibi guides are very pleasant, did you planned to put them in the complete game? 2 – Will there be a character that we will follow with his own point of view other than Maddie (Like Tara or Morgan for example)? 3 – Is the game will have others characters (others than Tara, Morgan, Abigail and Maddie)? 4 – What length is planned for the game approximately and how many words are put in? 1. We might include the chibi scenes as a bonus option or unlockable content in the full game, but they won’t be used in the same context as in the demo. 3. Yes, there will be other characters, although the four from the demo are the main characters. 4. We’re hoping that the final game will be at least 120,00 words long. Right now we have about 20 thousand words or so written.